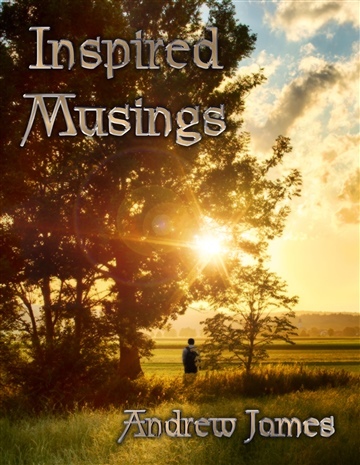 Inspired Musings is a collection of thirty-six poems covering a variety of topics. From extolling the attributes of his wife in Love and pointing out the weaknesses of society in Fortitude, to weaving a heart wrenching tale with Silence and provoking deep thought and discussion with the theme of Vacation, the author shares his heart with his readers in a beautiful, creative and often striking manner. Andrew James is an author who grew up in the heart of New England and at an early age began to draw upon the beauty around him to fuel his writing. He has written numerous books, articles, short stories, poems, songs and journal entries. Known for his music and his fiction work, he is also an accomplished poet and philosopher, capable of causing his readers to think deeply on the themes of his work without sacrificing their enjoyment of each piece as a whole. Andrew currently lives in New Mexico with his family. He has opted to join NoiseTrade for the sake of offering his work to the world, and in the hopes that those who enjoy his work will be happy to help him make ends meet after some recent health problems experienced by members of his family.